Some of the very first dungeon crawlers used ASCII characters, i.e., @, #, !, and the like, in order to portray the environments you explored and the enemies you fought. 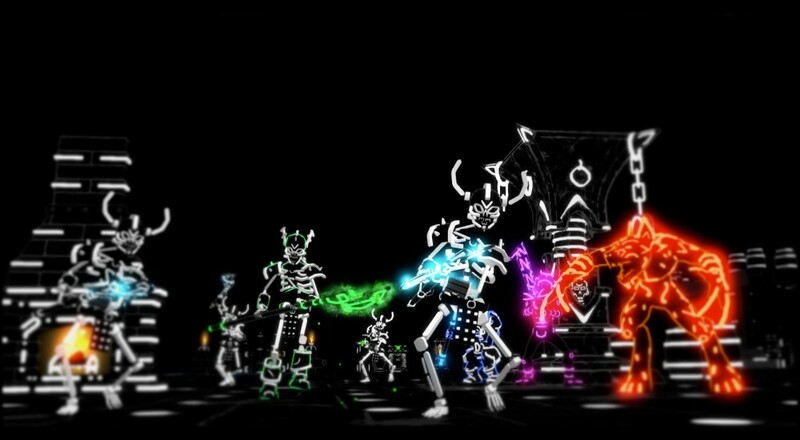 Developer Stromcloud Games has taken those visuals and reimagined them in a 3D space for their own roguelike/dungeon crawler, Brut@l.
Your goal in this ASCII meets Tron world is to make your way to the 26th floor of the dungeon and defeat the Guardian of the Dungeon. You'll be able to choose one of four different character classes - Range, Mage, Warrior, and Amazon - and earn new gear, skills, and other treasures along the way. If you want some company for your journey, then grab a friend and a couch to embark upon a quest together. Brut@l is slated for a PlayStation 4 release initially, and PC sometime later this year. It supports two player couch co-op throughout the entirety of its campaign. Page created in 0.8163 seconds.